What are the Benefits of Using a Hand Blender? A kitchen appliance that makes your work easy and time-saving is a hand blender. With the right appliance, making your favorite dishes is easier than you think. Gone are the days when people used bulky and heavy blenders to complete their task. A hand blender is a secret appliance that is used in many professional kitchens. The compact blender is used similar to a spoon to blend different food items. Considering the versatility of the product, KENT has introduced a smart hand blender, which will make your kitchen chores easy. Read on to find the advantages of using a hand blender. One of the main reasons for using a hand blender is its small and portable design. As most of the kitchens have limited space, many homeowners look for a portable and handy appliance that make their work easy. KENT Hand Blender is portable and easy to store as it doesn’t use a lot of space, even when you are cooking. The hand blender from KENT also comes with a detachable shaft, which makes it easy to store the appliance. A feature that makes the hand blender unique is its versatility. The hand blenders are not only ideal for blending food items but can also be used to chop food items. Whether you need to puree soup or whip a quick salad dressing, a hand blender is a right appliance for you. The appliance also eases the way you make a lot of dishes such as soups. With just a whirl, With the help of a hand blender, you can easily blend the ingredients to get a smooth mixture. Unlike bulky blenders, the hand blenders make less noise. In fact, the immersion blenders are almost silent. The motor of the blender is encased in the handle. When the blender starts, it turns the stainless steel rod present in the wand. As a result, all the sound generated from the motor is in the casing, thereby making the appliance extremely quiet. Kitchen chores become less time taking and easy if you have the right appliances. 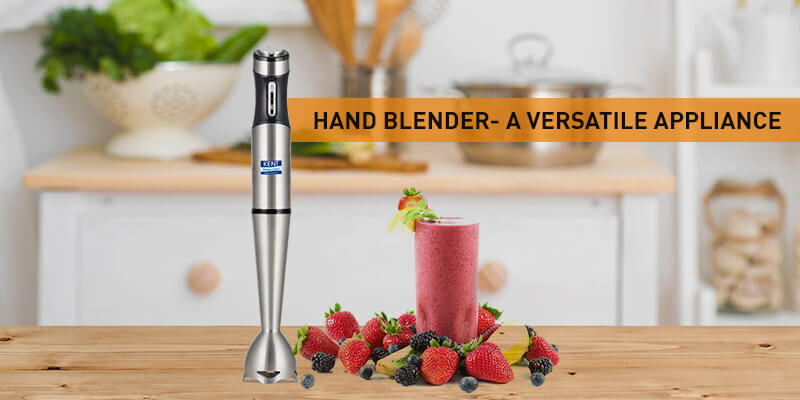 KENT Hand Blender is an ideal product, which makes it easy to complete your tasks in minutes, especially when you are running short of time. The multi-functional appliance makes whips, blends and churns food items with perfection. Click here to find out more about the product. 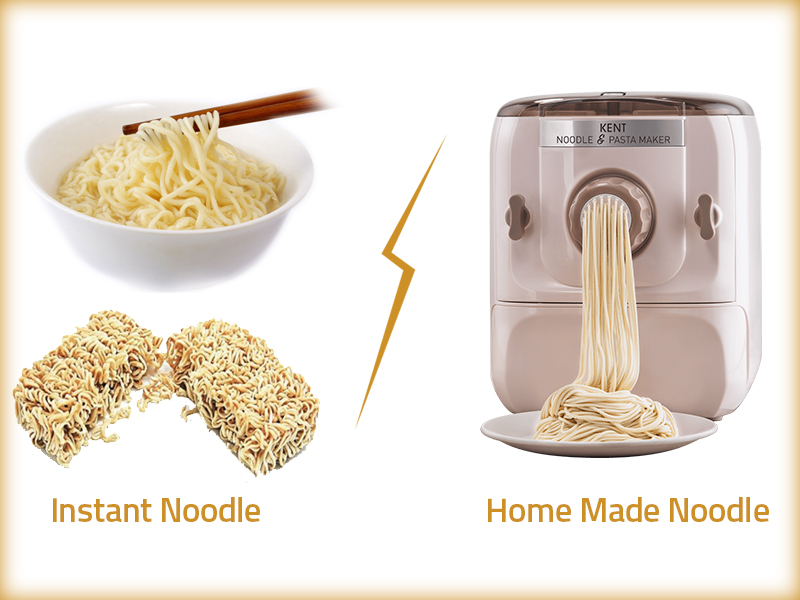 Why Homemade Noodles is Better than Instant Noodles?